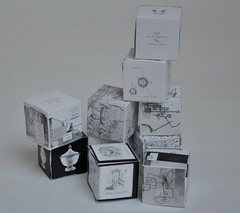 My third instalment of feature posts, sees a set of StoryCubes Sarah Thelwall used in her Market Day workshop. 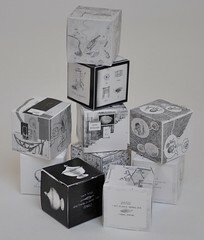 Sarah gave some great views on the StoryCubes, which can be seen below in my email interview. 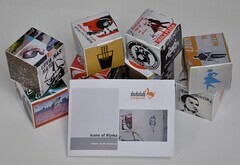 RP: Why did you choose to use StoryCubes in your workshop? ST: I am very keen to develop and use 3d tools when delivering training because it appeals to the kinaesthetic learners and suits people with a visual rather than text based learning preference. 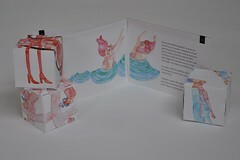 Plus, 3d objects are more likely to end up on a table not tucked away in a folder with all the a4 paper handouts. RP: Do you think they are an effective tool? If so, please specify. ST: they are a highly effective tool, they demand a high level of engagement from a participant, you can’t just coast through an exercise you have to work out what you think and answer the question that has been set. 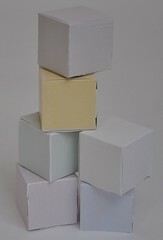 RP: How did people react to the StoryCubes? What did they do with them? ST: they always react to them very well, they are part of a full one day workshop where every activity is accompanied by a 3d object … a visual mnemonic for the learning. 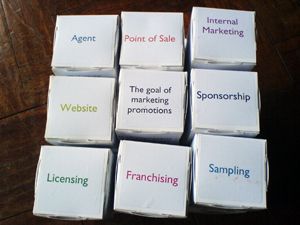 the task is to select appropriate stickers from a wide selection and create a storycube to act as a reminder of actions to undertake as part of marketing communications. RP: Were there any interesting stories that came up? ST: well the stories that tend to come up relate to the participant having to make choices … there are only 6 sides and about 20 possible stickers so they have to be focused in their selection and they can’t fit in more than one sticker per side. 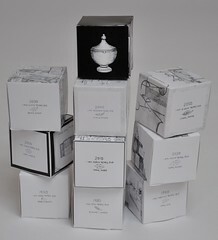 RP: Would you use the StoryCubes again? For the same or other purposes? ST: I’ve been using them for several years with this workshop and have recommended them to others, I will continue to do both. RP: Have you used the cube format in any other projects? 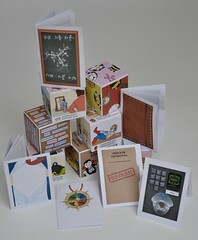 ST: I use them from time to time in other workshops and when designing new learning experiences. 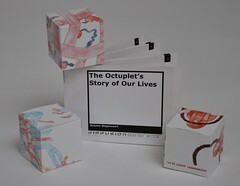 RP: What qualities do the StoryCubes bring to a project like this? ST: easy to use, versatile, inexpensive, accretive, promote dialogue & conversation. Sarah gave some really interesting insights here. 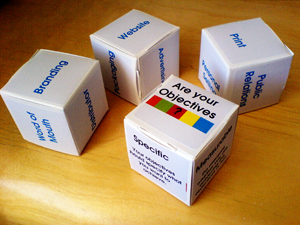 My favourite quote is, ‘3d objects are more likely to end up on the table not tucked away in a folder with all the a4 paper handouts.’ This, to me illustrates the different type of dimension the StoryCubes bring to the table – much more interactive, playful, and way more exciting than in a piece of paper. Be sure to come back to read next week’s surprise feature post!